The main focus of financial planning is to map your financial journey to your life goals, from a secure post-retirement life and strong funding for your children’s education to critical emergency funds and health plans. But achieving smart tax savings is another critical benefit that investments and financial planning can deliver. Yes, most of us consider financial planning as an important tool to save taxes, whether we fall under the salaried or even the non-salaried group of tax-paying citizens. Choosing smart tax-saving investments requires focused assessment of multiple features, including returns, security, liquidity, and their tax-related benefits. Here are that will help you to manage your income tax and keep you on the right track of financial planning simultaneously. Many times, we are in a state of flux where you desperately look around for investments in the last minute just around the time you are filing your income tax. In haste, we often end up picking up the wrong investment option just to save tax. This approach will definitely put you in trouble, since, while the investment might temporarily help you save taxes, it might not deliver the desired returns or may lock out your money in the long term. But smart tax-saving investments like insurances and Government bonds can deliver considerable tax relief but also ensure financial security. But the key is to plan your investments in advance to be stress-free and to avoid chaos in the last-minute bad decisions. Remember that even if you invest in options such as SCSS or make time-bound post office deposits, the interest you receive will be considered as income and will be taxed. So while you save tax in the short run, you cannot always completely avoid tax. So always calculate the tax savings against the tax you will be paying from the interest and returns. Do not think only about the present tax benefit that you can avail from an investment, rather think about the changes in life you can bring about through such investments along with a certain amount of tax relief. First visualize your life-goals before making any investments, and then assess the tax-saving benefits that your investment decision can deliver. An expert financial advisor can help you earn an income with crucial tax savings. For example a diversified mutual fund portfolio can help you invest your money in options that deliver growth rather than dividends, thus helping you with considerable tax savings. Similarly options such as PPF, NPS, and EPF are also smart investments when approached carefully. But each approach needs careful attention, since some come with poor tax savings but great returns, while the others provide good returns but falter when it comes to liquidity. Also remember to regularly revisit your investment plans since the market, your requirements, and your goals are likely to change with time. Long-term investments are a great option to consider because every year you do not have to search for a tax saving investment plan. But be cautious of the selection you make as not all long-term plans are tax savers. So, understand your investment thoroughly before proceeding. The tenure of investments, the amount that is taxable after maturity and returns that can be reaped have to be researched before making a decision. Planning your investments in advance can be a lifesaver, especially if you are focused on the tax-savings element of your investment all round the year and not just during the “tax seasons.” Always start planning your taxes at the beginning of the year to avoid last minute mayhem. Take help from a financial advisor to ensure that your hard-earned money deliver to you the best possible benefits. Remember that placing all your eggs in one basket is the worst approach you can take with making tax-saving investment decisions. Hence take a smart approach to creating a diversified portfolio with the help of an expert financial advisory service or an investment advisor. PrognoAdvisor is your trusted online financial planning service from India, with extensive expertise in understanding your specific financial and life goals and guiding you achieve these goals with confidence. 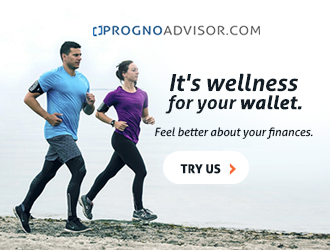 Connect with our financial advisors at Prognoadvisor.com to understand how you can simplify the entire process of personal financial planning and meet your life goals with some smart wealth creation and management, delviering, of course, some smart tax savings.